Before January 12th 2010, many Haitians were unaware that the earth could tremble, that it could shake so hard it could make concrete collapse. In the wake of the January 12th earthquake, a new word appears in Port-au-Prince: Goudou Goudou, an onomatopoeic reference to the deafening noise of the earth trembling. This documentary revisits the memories, dreams and nightmares of a dozen men, women and children in Haiti after the earthquake. We meet people of flesh and bone, rather than the silent victims or "violent savages" of the Western news reports. Nor are our protagonists heroes, but simply people who, in spite of the grief and loss, try to keep moving forward and refuse to accept that Haiti has become a land of the living dead. 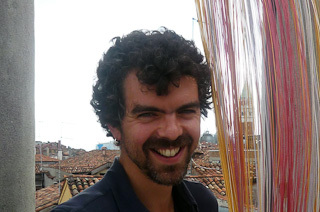 Pieter Van Eecke holds a master in Philosophy from Gent State University and Sculpture from Sint-Lucas Brussels. In 2006 he arrived in Haiti to work with the local communications agency Alterpresse, where he started his filmmaking career. 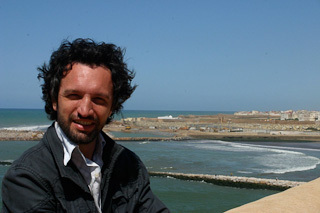 Fabrizio Scapin attended Daniele Segre's Documentary School in Turin. He moved to Paris to hone his skills. Then, in 2007, he went to Haiti to train the journalists from Alterpresse in camera and editing.